There are about 125 million livestock in the country, of which 50 per cent are large ruminants (cattle and buffaloes) and 50 per cent small ruminants (sheep and goats) which is growing at a rate of 3–5 per cent annually. Punjab and Sindh are the major holders of the livestock i.e. 52 per cent and 26 per cent respectively with the best milch breeds of cattle and buffaloes. The area is suitable for dairy farming with a lot of potential for its growth. The sector is important both from food security point of view and job opportunities for around 10 million people of Sindh. The country is earning about Rs60 billion from dairy export every year. About 75 per cent of the rural population is engaged in livestock rearing and its livelihood depends on this important sector. Livestock contributes about 9.4 per cent to the GDP, and 40 per cent value addition to agriculture sector. More than 90 per cent farmers are small holders and possess about 1-4 animals. Hardly five per cent have more than 100 animals and are busy in their farming business at commercial level. The per capita per annum availability of milk in the country is 80.5 litres, and meat 16.5 kg which is far below the minimum required level of 27.5 grams of protein daily. Because of the acute shortage of animal protein in diet, people are prone to various diseases particularly in the less developed areas where the poor live. To increase milk and meat production; provide jobs to unemployed rural people, specially rural women; increase income of rural people; alleviate poverty in rural and less developed areas; help develop rural areas and eradicate social evils; provide food security; increase efficiency of agriculture sector; provide security against crop failure; reactivate closed milk plants; improve milk collection system and increase export earning. Each farmer’s family should be provided with a credit facility from agriculture bank/or any other commercial bank on easy terms and condition like takawi loan for purchase of 10 milking animals i.e. six buffaloes and four cows as mixed dairy farming is more profitable. These dairy farms should be provided with required high protein diet so that the milk contains more than six per cent fat. The recovery of credit may be started after one month from the date of purchase of animals on weekly basis through a planned and well-established system. In the first phase, in each district about 5,000 farmers should be provided with such credit for purchase of 10 milking animals (newly calved) i.e. about Rs0.5 million including money for the purchase of cans, ropes, chains, buckets and other relevant accessories with 15 days ration / fodder etc. Each farmer would thus manage to produce about 40 to 50 litres of milk a time and 100 litres a day. This way each district will produce an extra 0.5 million litres of milk a day. 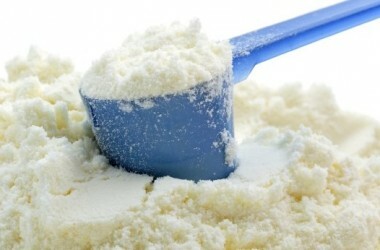 Due to improved management and availability of feed in the area production of milk would increase by 30 to 40 per cent. Districts for dairy farming and animal breeding should be carefully selected for the purpose i.e. Malir in Karachi, Hyderabad, Badin, T.M. Khan, Tando Allah Yar, Matiari, half of Sukkur and half of Mirpurkhas, half of Jamshoro, Dadu, Naushehro Feroze, Shikarpur, Larkana, Sukkur and Ghotki in Sindh. 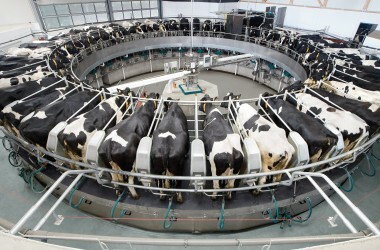 This way about 7.5 million litres of milk would be produced daily and about 350,000 male and 350,000 female cow and buffalo calves would be produced yearly with more manure for agricultural land. To purchase milk from farmers and provide them technical facilities, a concept may be adopted based on the pattern exercised in India, where milk collection all required services are provided through one-window operation at a centre called dairy development and extension centre. Every village with a population of about 500 farmers should be provided with a dairy development and extension centre. The centre should register the farmers of the area and provide them with facilities of milk collection; supply of processed feed; artificial insemination service; health services; parasite control; natural breeding services through high pedigreed bulls; supply of multi-cutting, fodder seeds; credit facilities; and arranging cattle shows to create a sense of competition among the farmers. The centre should also arrange training of farmers both male and female on modern farming system. Animal health, parasite control, breeding and training services should be provided free of charge, where as other services should be provided on no-loss and no-profit basis. These dairy development and extension centres should be linked with milk plants (at least 30 centers with one milk plant). These milk plants should arrange credit facilities through banks on easy terms and conditions and collect milk / from these centers, through tankers and arrange training of milk collectors and technical persons working at the centres. Modem techniques of livestock management and production, competitions should be arranged among these centres and awards ceremonies held for best workers, milk collectors, farmers and fodder growers. The recovery of credit, feed and other service charges should be made from the income of milk on weekly basis with 1-2 per cent additional charge for development of the area like, roads, school buildings, furniture, medical and maternity facilities etc. in consultation with the farmers / members of the centre. New systems of milk marketing on pattern of India may be introduced i.e. sale through milk booths, both in localities of the rich and the poor, with high and low fat contents along with other products like, yoghurt, ice cream, ghee, lassi etc. The programme, if introduced, would upgrade the livestock of the country by introducing high yielding animals and specially breeding bulls in the farming system, and modernise the technology of keeping animals healthy and productive. Through this project in addition to other benefits, about 75,000 unskilled and about 25,000 skilled workers may be engaged in dairy jobs.